Perhaps you, like me, are old enough to remember that smoky smell of the exhaust from diesel engines in city buses, freight trucks and onsite generators. In major urban centers, that exhaust could create a smoggy haze that actually turned the sky gray. The emissions standards that have largely eliminated diesel-exhaust pollutants now have made their way down to temporary power systems, making for cleaner power and requiring some operational changes users need to understand. As of Jan. 1, 2018, all new prime power generators sold in the United States have been required to comply with the U.S. Environmental Protection Administration’s Tier 4 Final emissions guidelines. This shouldn’t be news, since the process leading up to the Tier 4 deadline first began more than 20 years ago. However, not everyone might realize that temporary power systems used on construction sites, entertainment venues and other such locations are considered “prime” power generators for the purposes of these rules. Essentially, all new generators except those used exclusively for emergency standby power, must now meet Tier 4 Final standards. 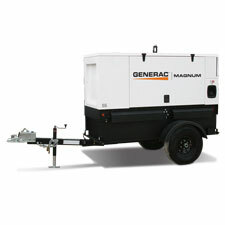 For those working around these generators, the benefits are immediate. The standards reduce nitrogen-oxides (NOx) and particulate material (PM) emissions substantially – gone are the smoky smell and the resulting health hazards. NOx is a key ingredient toward ground-level ozone, which leads to smog. And PM exposure is a known risk factor for lung cancer. Working with Tier 4 Final generators adds a step for most operators, with the addition of a fluid mixture of urea and water called diesel exhaust fluid (DEF). This fluid is misted into a catalytic chamber as the exhaust passes through to break down NOX into harmless nitrogen and water. On the plus side, this process helps improve a generator’s fuel economy. However, operators now have to ensure an ongoing supply of DEF, as well as diesel fuel, to keep their units up and running.